Cloud computing services for resource accounting establish, host, and manage services that are rented out to a remote consumer (individual or business). The scope of services ranges from offering basic computational assets like bandwidth, storage, and computational power to sophisticated enterprise applications such as SaaS. The commonly used business model to charge for these services is pay-per-use base, where the consumers use resources according to their needs and are then billed for the used resources at the end of a defined period. Idyllically, the consumers should be offered an explicit resource accounting model which is able to clearly identify all of the factors taken into consideration for calculating the consumption charges. Giving the consumer an access to their resource usage data can help them in IT budget planning, making aware billing applications and automate the assortment of services according to their specific needs. Also, it is to the benefit of the cloud service provider to make this data available for consumers as it would help them to come up with specifically designed user-centric services. Most of the providers already offer their clients their usage data, however, there are concerns regarding accountability. An issue that concerns the resource accounting model for such services is the accountability of the resource usage data. Whether it is the provider who does the measurements of this data, the consumer, or some other trusted third party. A combination of these players to measure the accountability is also an option, however, just like other traditional utility services such as gas and electricity, provider-side accountability is the norm in the cloud services industry as well. But unlike the consumer-trusted metering for traditional utilities, there is no such metric for consumers to measure data usage. Therefore, they have no choice than to accept what the provider offers them. Continuing the above discussion, we propose for a customer-centric resource accounting model to resolve the concerns of all parties. A customer-centric accounting model will allow the customer to query for calculating billing charges from the service provider programmatically. They will be obliged to respond to the request. Subsequently, a strong customer-centric accounting model will allow for measuring the cloud services billing charges independently by the customer or a trusted third party. This will allow consumers to measure their own billing charges, which is only fair. It is proposed that the providers should at least adopt the customer-centric models so that they could perform regular checks and raise alarms when there are apparent incongruities in the consumption data. Many services providers provide or publish details of their billing information, however, it must be examined if the detailed information is in accordance with the customer-centric notion. We will start with a very basic example and see if there is any room for any improvement. To investigate the notion, we take a simple S3 cloud storage service from Amazon. It is a very basic pay per use base service. It is marketed as a fast, reliable and low-cost service yet, upon examination, researchers found that there are few ambiguities in the model which also cannot be programmatically queried from Amazon. This suggests that even the simplest of resource accounting models cannot match the standards of a strong consumer-centric model, rather is loosely coherent with the weak model. However, specifically for S3, the uncertainties can be fixed with ease internally by paying little attention. Though, it is recommended that a cloud service provider should opt for assembling the third party as a measurement service so that customers can easily access and measure their data usage. One of the ambiguities was no reference to the time zone upon listing the price concerning geographical location. The start and end day of the billing cycle cannot be determined for sure. However, it can be inferred from the provided Amazon developers guide that S3 servers are synchronized to GMT. Another concern of S3 is regarding the measurement of user data. In addition to its own data, the S3 resource accounting model has system metadata and user metadata. System metadata is only used by S3, while user metadata is only used by the consumer and has a maximum size of 2KB. However, Amazon fails to clarify the actual storage space acquired by data and metadata. Amazon states that they check the storage space consumed by the user at least twice every day. Though, they fail to mention the exact time these checkpoints take place. Upon further investigation, it has been observed that they actually do not check the cloud storage usage twice every day and the event randomly takes place anytime in a Zulu time zone. Therefore, it is concluded that the resource accounting model for cloud still needs to define specific parameters of operation before they become trusted consumer utilities. How Secure is a Cloud-Based CRM System? 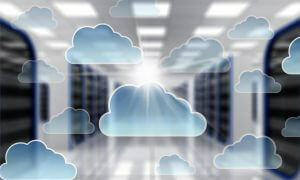 Why Should Businesses Opt for Customized Cloud Solutions? Understanding Accounting Operations: A Must for Efficient Entrepreneurship QuickBooks Online vs QuickBooks Desktop: Which Is Right for You?